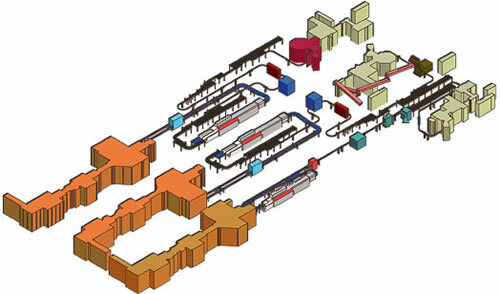 it designs and manufactures conveyor belts to move loose products or bundles within bottling and packaging lines. it designs and supplies turnkey plants. implements hi-tech control and supervision systems. integrates machines and equipment of the latest generation. guarantees a widerspread, efficient technical service. great flexibility of applications and production. high reliability and safety standard. When designing a machine layout, SMILine engineers have been combining the customer's exigencies with the market most innovating and competitive solutions, thus being able to meet the end user's specific requirements, both from a technical and from a sales point of view. For further information or for offer enquiries, please contact SMI sales department.